SHAYNE C. GAD, PHD, DABT, ATS, is the Principal of Gad Consulting Services. He has more than twenty-eight years of experience as a toxicologist, statistical consultant, manager, and consultant on research and development in the chemical, consumer product, contract testing, biotechnology, medical device, and pharmaceutical industries. He is the author of twenty-nine books and numerous papers, presentations, and other publications. 6. 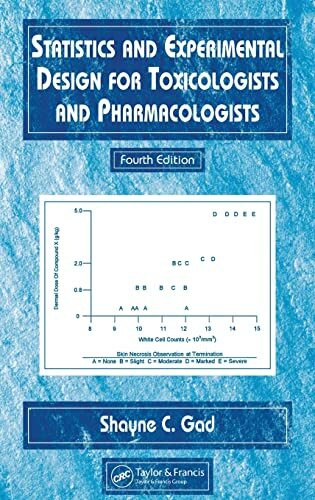 Statistics and Experimental Design for Toxicologists and Pharmacologists [Hardcover] Gad, Shayne C.